For many of us, including myself, our studies extended beyond college. For many teachers it may be a master’s program and for attorneys, law school. 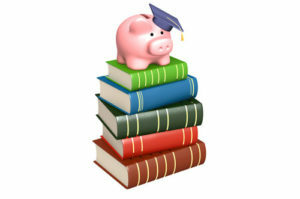 Regardless of your career path, furthering your education requires you to continue to pay tuition. 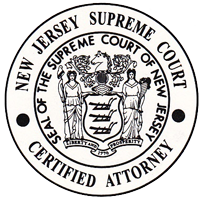 An Ocean County Superior Court Judge in J.C. v. A.C. has ruled that a child of divorced parents who is over 23 years old and who wants to attend graduate school has the burden of proof of showing that the noncustodial parent should be required to help cover the costs of the child’s post-graduate education. The case at hand involved a divorced couple who married in 1991 and divorced in 2004. The couple had two children, a daughter (22 years of age) and a son (16 years of age). The daughter graduated with a bachelor’s degree in accounting and had said that she wanted to go to graduate school to get a master’s degree. The daughter turned 23 in December and is subject to the new child support law. In their divorce agreement, A.C. agreed to pay $134/week in child support and the parents agreed to jointly provide financially for their children’s college education. The agreement did not make any mention of the parents’ obligation to pay for any post-graduate education. In one of the motions filed J.C. requested the Judge order A.C. to contribute toward their daughter’s graduate school costs. A.C. filed a cross-motion to emancipate the parties’ daughter. The Judge stated that under the State of New Jersey’s newly enacted child support law, which goes into effect on February 1st, that there is a general presumption that a child will be declared emancipated after reaching the age of 23. The Judge further stated that there could be circumstances in which a child who is over 23 could demonstrate that the noncustodial parent should be required to help pay for graduate school expenses. The Judge stated that while it is generally accepted that a noncustodial parent may be required to help pay for a child’s undergraduate education, there is nothing statutory or in case law that discusses graduate school obligations. The Judge stated that there is a difference between a college education and graduate school. “Graduate school is not the same as college, and therefore cannot be treated simply as a fifth, sixth, or seventh year of undergraduate studies.” The Judge further stated that a child with an undergraduate degree has attained a level of maturity that should indicate that he or she is more independent and able to support himself or herself financially. In his ruling the Judge stated that the legislative intent of the new child support statute, which was enacted in January, was that there should be no child support obligation for noncustodial parents after the child turns 23, apart from some showing of extraordinary circumstances. Under the New Jersey Supreme Court ruling in Newburgh v. Arrigo (1982) there is an obligation for divorced parents to help pay for their children’s college education. The Judge stated that this ruling did not apply to the current case because it did not involve post-graduate studies. The Judge stated that at some point grown children should be expected to pay their own bills and that many graduate students hold jobs and pay their own graduate school costs. The Judge ordered a hearing in December to determine whether A.C. should be required to help pay for the parties’ daughter’s graduate school education. The new child support statue will change how Judges decide cases such as this one. Prior to the enactment of the new child support statue there was no set age in New Jersey when a child would be deemed emancipated. Perhaps parties should be more specific in their separation agreements and address contribution, if at all, to post-college tuition. These are questions that the attorneys here at Gale & Laughlin can answer. Our attorneys are highly knowledgeable in the matrimonial and family law field. Please contact us with any questions that you may have.